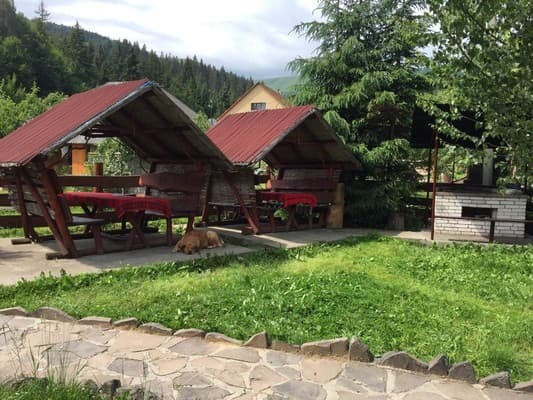 Private estate "Shipot" is located in the village of Pilipets. 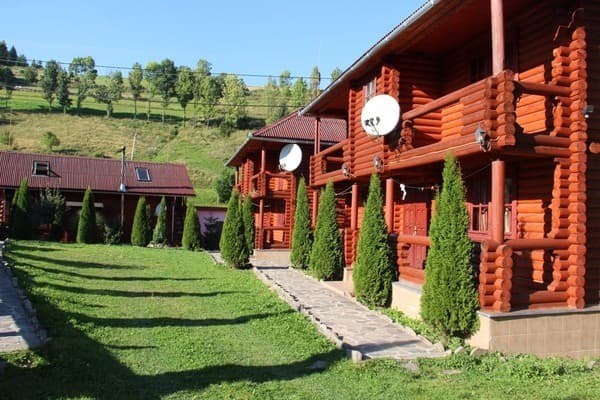 In the well-groomed territory there are 2 cottages with a log house and a sauna. The complex can accommodate 16 people: 8 people in each house. All rooms are equipped with comfortable furniture, TV, individual bathrooms. A kitchen for self-cooking is provided to the residents. The cost of living in the estate "Shipot" includes car parking, use of a gazebo and a barbecue. Transfer is possible - for an extra fee. 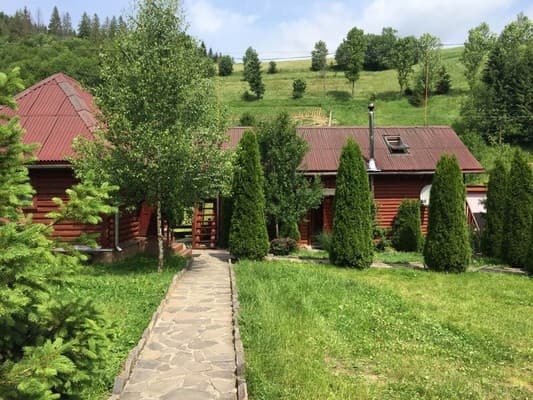 To the nearest ski lift - 500 m, to the waterfall Shipot - 700 m. The distance to Uzhgorod is 124 km. 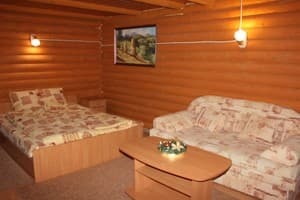 Description of the room: Cozy room, equipped with a double bed, sofa, table, bedside table. 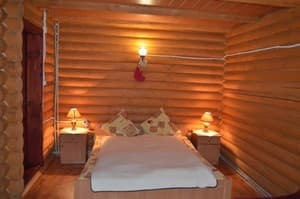 Description of the room: A cozy room equipped with a double bed, a sofa, a table, a bedside table. 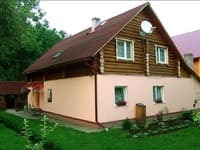 It is possible to accommodate four and three people, specify the price. Meals are available upon agreement. The cottage has a kitchen for self-cooking. The estate "Shipot" is located in the village of Pilipets, section 307. 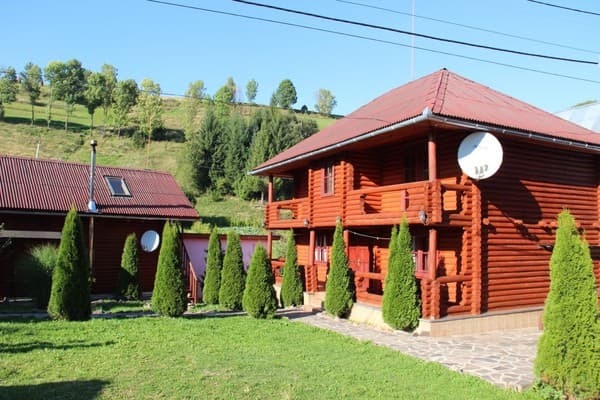 The nearest ski lift is 200 m, to the waterfall Shipot - 700 m. The cottage is located 12 km from the railway station "Volovets", 124 km from the city of Uzhhorod. 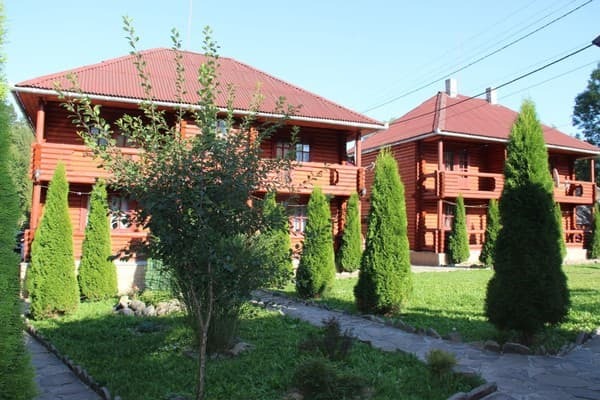 Trains Uzhgorod direction - to the station "Volovets", then by bus or book a transfer from the hotel. By car - along the highway "Kiev - Lviv - Chop" (E-50 / M-06), after the village of Nizhnie Vorota turn to the village of Mezhgorye.